We can find your desired property or sell your home and provide sound financial advice at the same time. Amongst other services there is the Notary Office, Registrar, Deeds translation, change of name in utility bills as well as dealing with taxes related to the sale. In a nutshell, a professional follow-through commitment, personalised to meet each of our clients particular needs. Our bilingual staff with many years of professional experience in the real estate business guarantees satisfaction in all of our operations in Spain. Stunnig frontal sea views. First line to the beach in La Carihuela! 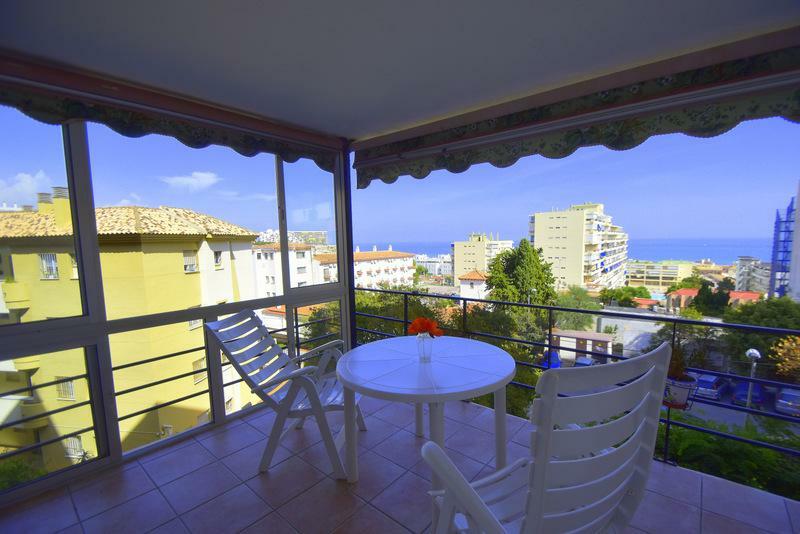 In La Carihuela with stunning sea views!! 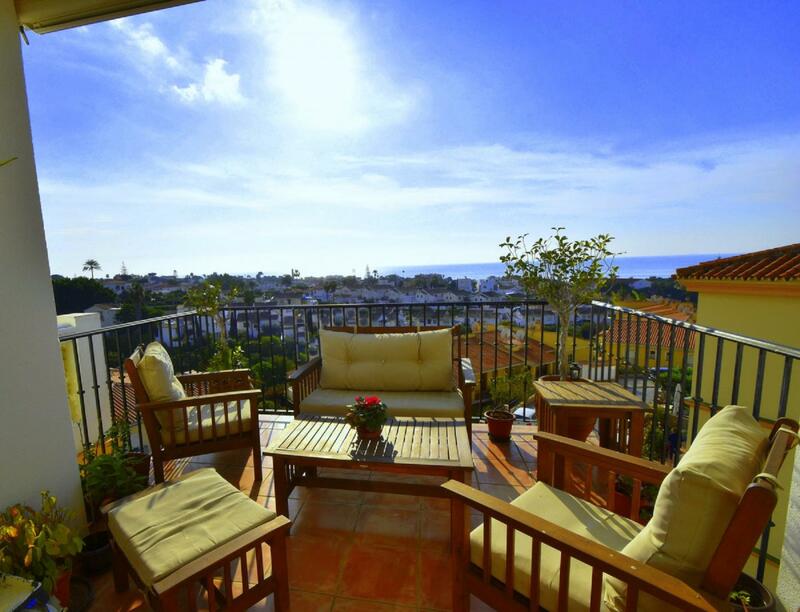 Magnificent apartment with fantastic views over the Mediterranean in La Carihuela . Completely renovated , aircon, electric, plumbing, windows, kitchen and bathroom all new into an open and modern space. This property on a 4th floor has two bedrooms with built-in wardrobes, two fully equipped bathroom . Very bright and airy throughout this south facing apartment boasts large living-dining area with gorgeous views opening onto sunny terrace. Air conditioning, security door and parking with storage are all special features to add to this wonderful property completely ready to move into. Train station only 15 min walk away connecting with Malaga Airport every 20 min. Supermarket, restaurants at your doorstep. 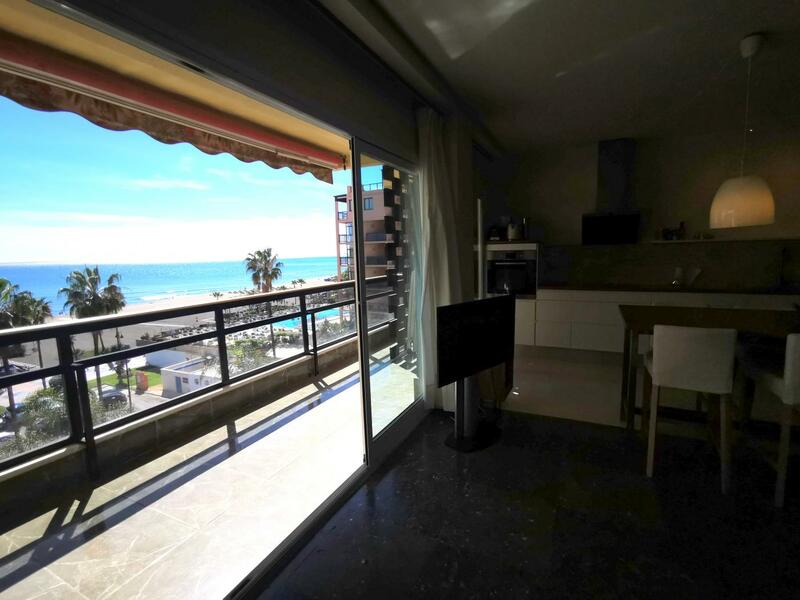 Moderno y vanguardista apartamento frente al mar de la carihuela completamente reformado con las mejores calidades! 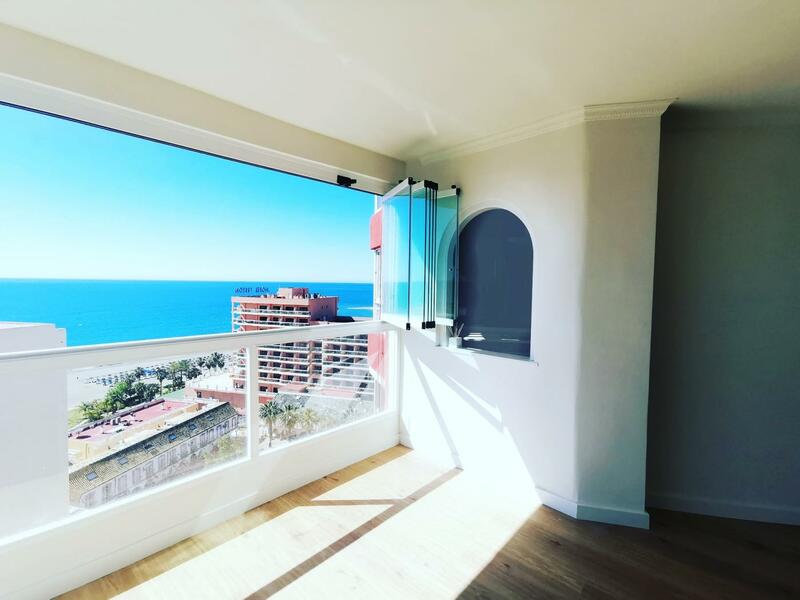 Vistas al mar muy luminoso todo un lujo!.Middle Floor Apartment, La Carihuela, Costa del Sol.2 Bedrooms, 2 Bathrooms, Built 80 m², Terrace 15 m².Setting : Beachfront, Beachside, Close To Port, Close To Shops, Close To Sea, Close To Town, Close To Schools, Close To Marina, Urbanisation, Front Line Beach Complex.Orientation : South.Condition : Excellent, Recently Renovated, Recently Refurbished.Pool : Communal.Climate Control : Air Conditioning, Hot A/C, Cold A/C, Central Heating.Views : Sea, Beach, Panoramic, Pool.Features : Lift, Fitted Wardrobes, Near Transport, Private Terrace, ADSL / WIFI, Storage Room, Ensuite Bathroom, Disabled Access, Marble Flooring, Double Glazing, Near Church.Furniture : Not Furnished, Optional.Kitchen : Fully Fitted.Garden : Communal.Security : Gated Complex, Entry Phone.Utilities : Electricity, Drinkable Water, Telephone.Category : Beachfront, Holiday Homes, Luxury, Contemporary. Great and luxurius penthouse in the best area of Los Alamos !! The best panoramic view with luxury finishes !! Very close to the beach, train station and highway...Excellent community with pool, garden, sport facilities and 2 parking spaces ...Impressive !! The best panoramic view with luxury finishes !! Very close to the beach, train station and highway...Excellent community with pool, garden, sport facilities and 2 parking spaces...Impressive ! 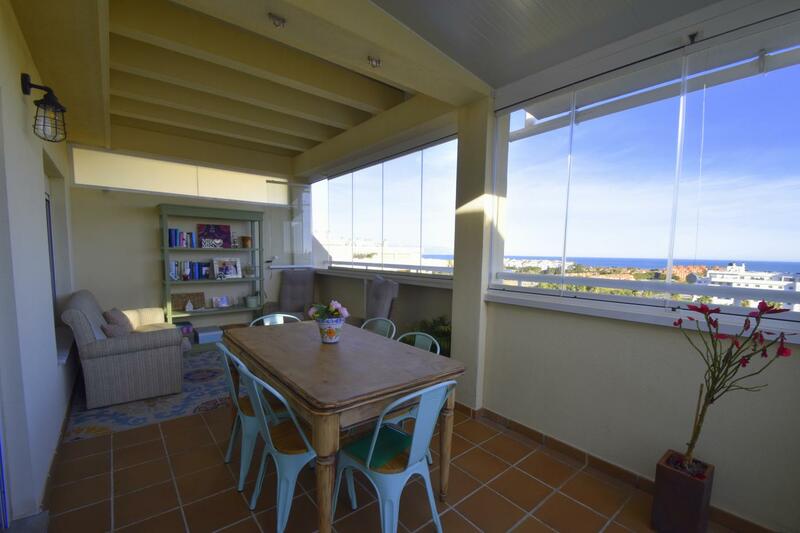 !Posibility to build a third bedroom.Penthouse, Los Alamos, Costa del Sol.2 Bedrooms, 2 Bathrooms, Built 72 m², Terrace 30 m².Setting : Suburban, Beachside, Close To Golf, Close To Port, Close To Shops, Close To Sea, Close To Town, Close To Schools, Close To Marina, Urbanisation.Orientation : South.Condition : Excellent.Pool : Communal, Children`s Pool.Climate Control : Air Conditioning, Pre Installed A/C, Hot A/C.Views : Sea, Panoramic.Features : Lift, Fitted Wardrobes, Near Transport, Private Terrace, ADSL / WIFI, Tennis Court, Storage Room, Utility Room, Ensuite Bathroom, Disabled Access, Marble Flooring, Double Glazing, Near Church.Furniture : Not Furnished.Kitchen : Fully Fitted.Garden : Communal.Security : Gated Complex, Entry Phone.Parking : Garage, More Than One.Utilities : Electricity, Telephone.Category : Beachfront, Investment, Luxury, Contemporary. Bright, sunny, refurbished, spacious ! Prime location near La Carihuela! Beautiful frontal sea views! Walking distance to the beach! Bright, sunny, refurbished, spacious ! 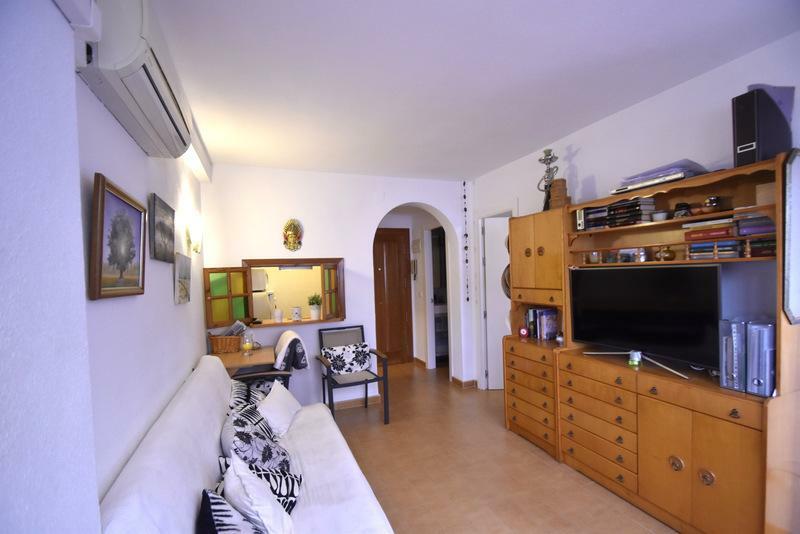 Prime locationThis fantastic 2 bedroom apartment has everything you need and is completely renovated and decorated with a lot of style!A very short walk from the promenade of La Carihuela beach where you can enjoy the largest variety of restaurants, supermarkets, bus stop. 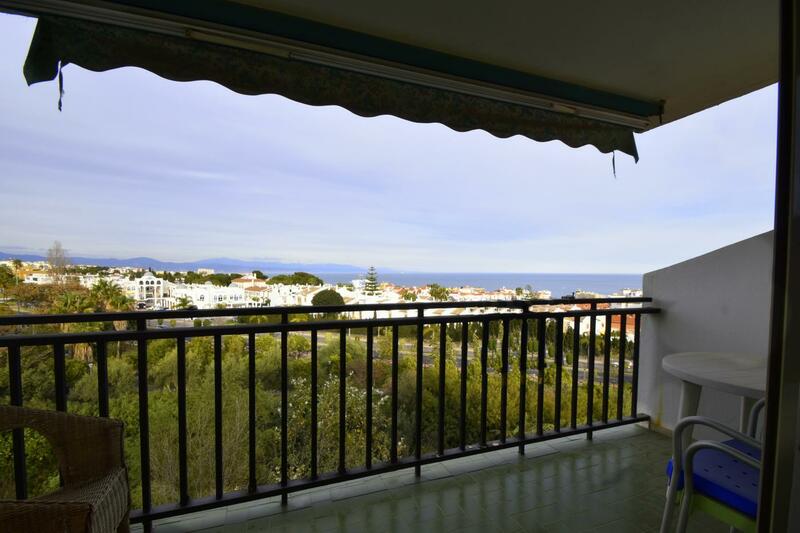 Middle Floor Apartment, La Carihuela, Costa del Sol.2 Bedrooms, 1 Bathroom, Built 85 m², Terrace 16 m².Setting : Beachside, Close To Port, Close To Shops, Close To Sea, Close To Town, Close To Schools, Close To Marina, Urbanisation.Orientation : South West.Condition : Excellent, Recently Refurbished.Views : Sea, Beach, Panoramic.Features : Lift, Fitted Wardrobes, Near Transport, Private Terrace, Marble Flooring, Double Glazing, Near Church.Furniture : Not Furnished, Optional.Kitchen : Fully Fitted.Security : Gated Complex.Parking : Communal, Private.Utilities : Electricity, Telephone.Category : Beachfront, Cheap, Holiday Homes, Investment, Reduced, Contemporary. Impressive and comfortable detached villa in residential area, quiet, with direct and private access to the field. The villa has 5 bedrooms, 2 bathrooms, 1 toilet, living room equipped with a fireplace, living room, kitchen, terrace and 2 garages.Divided into two floors, with the upper floor destined for the rooms, making the stay even more pleasant thanks to its great panoramic views.Semi-Detached House, Alhaurín de la Torre, Costa del Sol.5 Bedrooms, 3 Bathrooms, Built 160 m², Terrace 79 m², Garden/Plot 239 m².Setting : Town, Suburban, Country, Mountain Pueblo, Close To Golf, Close To Town, Close To Schools, Close To Forest, Urbanisation.Orientation : South, South West.Condition : Excellent, Recently Refurbished.Pool : Private.Climate Control : Air Conditioning, Hot A/C, Cold A/C, Fireplace.Views : Mountain, Panoramic.Features : Covered Terrace, Fitted Wardrobes, Private Terrace, Ensuite Bathroom, Disabled Access, Double Glazing, Basement, Fiber Optic.Furniture : Not Furnished.Kitchen : Fully Fitted.Garden : Communal, Private, Landscaped, Easy Maintenance.Security : Entry Phone.Parking : Garage, Covered, Private.Utilities : Electricity, Drinkable Water.Category : Bargain, Cheap, Distressed, Investment, Reduced, Resale, Contemporary. Middle Floor Apartment, Benalmadena Costa, Costa del Sol.3 Bedrooms, 2 Bathrooms, Built 105 m².Setting : Beachside, Port, Close To Port, Close To Shops, Close To Sea, Close To Town, Close To Schools, Marina, Close To Marina, Urbanisation, Front Line Beach Complex.Orientation : South West.Condition : ExcelentePool : Communal, Children`s Pool.Climate Control : Air Conditioning, Hot A/C, Cold A/C.Views : Sea, Beach, Panoramic.Features : Lift, Fitted Wardrobes, Near Transport, Disabled Access, Marble Flooring, 24 Hour Reception, Restaurant On Site.Furniture : Not Furnished.Kitchen : Fully Fitted.Garden : Communal.Security : Gated Complex, Entry Phone, 24 Hour Security.Parking : Communal.Utilities : Electricity, Drinkable Water, Telephone.Category : Beachfront, Investment, Reduced. Sunny, spacious and in excellent condition! Spectacular townhouse, 3 levels, refurbished with high end material.The first floor : Sunny living room, spacious kitchen and toilet, in the second floor, 3 bedrooms 2 bathrooms one of them en suite very spacious.On the third floor we have a diaphanous space as a living room with direct access to the sunny terrace with bbqThe property disguises a closed area with garden area, swimming pool and covered parking.The urbanization has very good situation in residential area, very quiet and close to everything at the same time that makes your stay pleasant, comfortable and practicalDistance to the beach less than 1 km. Beautiful, spacious and renovated with nice terrace and only 300 meters from the beach, located in a beautiful complex with large gardens, sunny pool and sauna.The apartment has a living room with fireplace, terrace, equipped kitchen, double bedroom with built-in wardrobe, and with the possibility of a second bedroom in what used to be a dining room.Excellent location walking to the beach and shops.Beautiful, spacious and renovated with nice terrace and only 300 meters from the beach, located in a beautiful complex with large gardens, sunny pool and sauna. 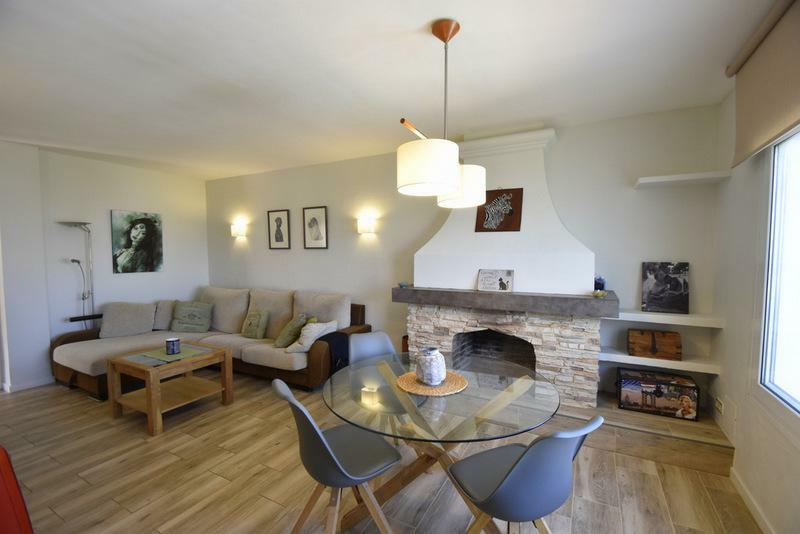 The apartment has a living room with fireplace, terrace, equipped kitchen, double bedroom with built-in wardrobe, and with the possibility of a second bedroom in what used to be a dining room. Excellent location walking to the beach and shops.Apartment, 81m² Benalmadena Costa, Costa del Sol.Setting : Commercial Area, Beachside, Close To Golf, Close To Shops, Close To Sea, Close To Town, Close To Schools, Close To Marina.Orientation : South.Condition : Excellent, Recently Renovated.Pool : Communal.Climate Control : Fireplace.Views : Panoramic, Garden.Features : Covered Terrace, Fitted Wardrobes, Near Transport, Private Terrace, ADSL / WIFI, Marble Flooring, Double Glazing, Fiber Optic.Furniture : Optional.Kitchen : Fully Fitted.Garden : Communal, Easy Maintenance.Security : Entry Phone.Parking : Street, Communal.Utilities : Electricity, Drinkable Water, Telephone.Category : Beachfront, Cheap, Holiday Homes, Investment, Reduced, Contemporary. Contemporary with beautiful sea views! 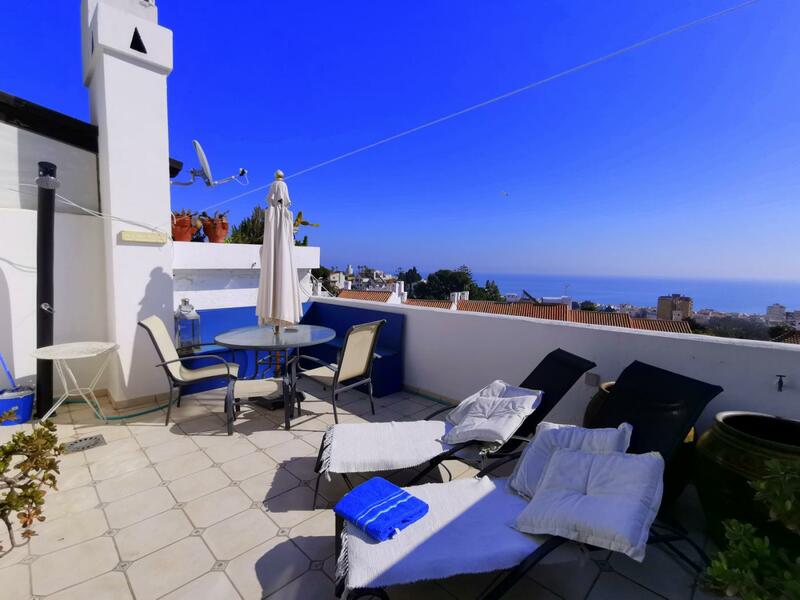 Middle Floor Apartment, El Faro, Costa del Sol.2 Bedrooms, 1 Bathroom, Built 52 m², Terrace 15 m².Setting : Town, Suburban, Country, Mountain Pueblo, Close To Schools, Urbanisation.Orientation : South.Condition : Excellent.Pool : Communal.Climate Control : Pre Installed A/C.Views : Sea, Panoramic.Features : Fitted Wardrobes, Private Terrace, ADSL / WIFI, Marble Flooring, Double Glazing.Furniture : Not Furnished.Kitchen : Fully Fitted.Garden : Communal.Security : Entry Phone.Parking : Street.Utilities : Electricity, Drinkable Water, Telephone.Category : Bargain, Cheap, Holiday Homes, Investment, Reduced, Contemporary. Nice and sunny terrace, excellent location, beautiful complex! 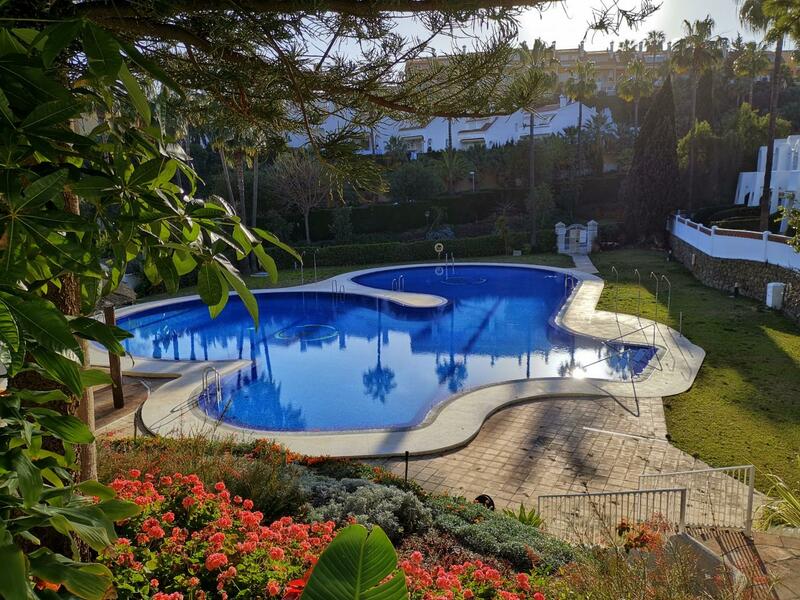 Very well located apartment in beautiful complex with large sunny gardens swimming pool, paddle court and in very good location.Great location! The urbanization is in a residential area, familiar and very quiet within walking distance to all amenities.The apartment has very good layout making with it your stay comfortable and enjoyable, consists of: living room, kitchenette, bathroom, terrace and 1 room quite spacious. It is close to everything you need: shops, stores, supermarkets, restaurants, bus stops. 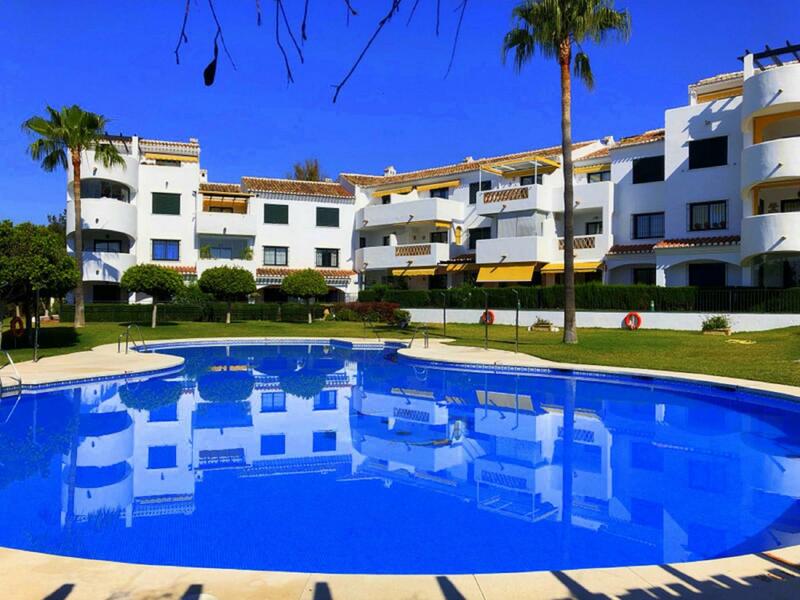 Apartment Middle Floor, Benalmadena Costa, Costa del Sol. 1 bedroom, 1 bathroom, built 47 m², Terrace 12 m². Position: Urbanization.Orientation: West.Condition: good.Swimming pool: large communal.Air conditioning.Views: Garden. Features: covered terrace, lift, built-in wardrobes, marble floors.Furniture: not furnished.Kitchen: Equipped.Garden: Communal.Security: Enclose, intercom.Parking: Secured Street.Utilities: Electricity, Potable water, telephone, Gas.Category: Investment.